One of my most treasured of sewing books, one that I could most assuradly not live without is "Fashion sewing for everyone" by Adele P Margolis. She writes in a non complicated way and easy to understand for the beginner. Which since I mostly taught myself how to sew was very important to me. I learned what I could from my mom. And got a few tips and pointers from people at the store. 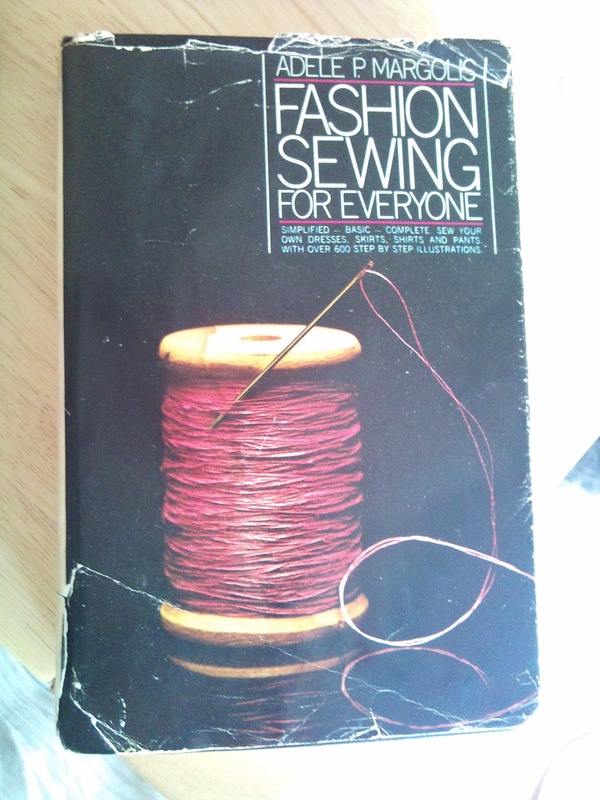 But this book has shaped who I am as a seamstress. And the wonderful woman who wrote it. I'm looking for the rest of her books to complete my collection and amass some more sewing knowledge. But I wanted to pay homage to a woman that I never got to meet, but none-the-less has made me a better person for it. Thank you. UPDATE-2/27/2012- I have aquired 2 more of her books. How to make clothes that fit and flatter and The Dressmaking Book. I'm still looking for Tailoring to a T and Encyclopedia of Sewing. They are too much on Amazon. I'm currently working on costumes for Dragon con for myself and my boyfriend. I will be posting about that soon.